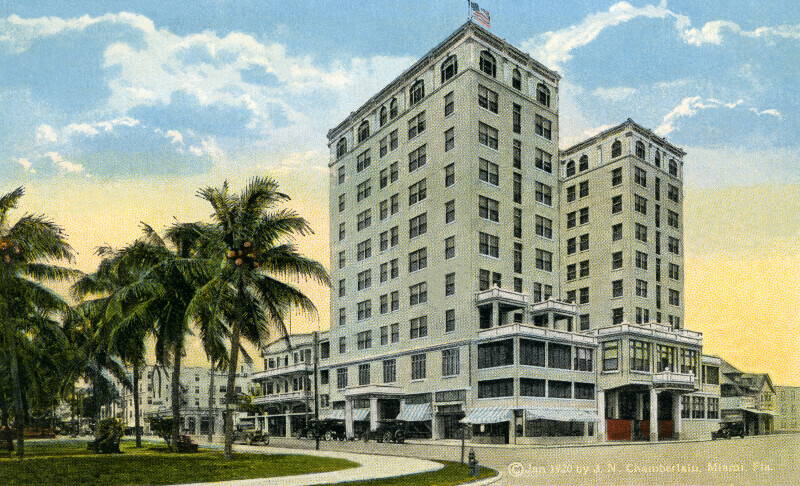 This image shows the McAllister Hotel, at the corner of East Flagler Street and Biscayne Boulevard, The hotel is a ten story building. There are several balconies on the side of the building that faces the boulevard. On the side that faces Twelfth Street, there is a covered entrance. The windows of the ground floor are covered by striped awnings.